Home / 10% Off Borneo White Kratom! 10% Off Borneo White Kratom! Comments Off on 10% Off Borneo White Kratom! Here’s a great offer to take advantage of! 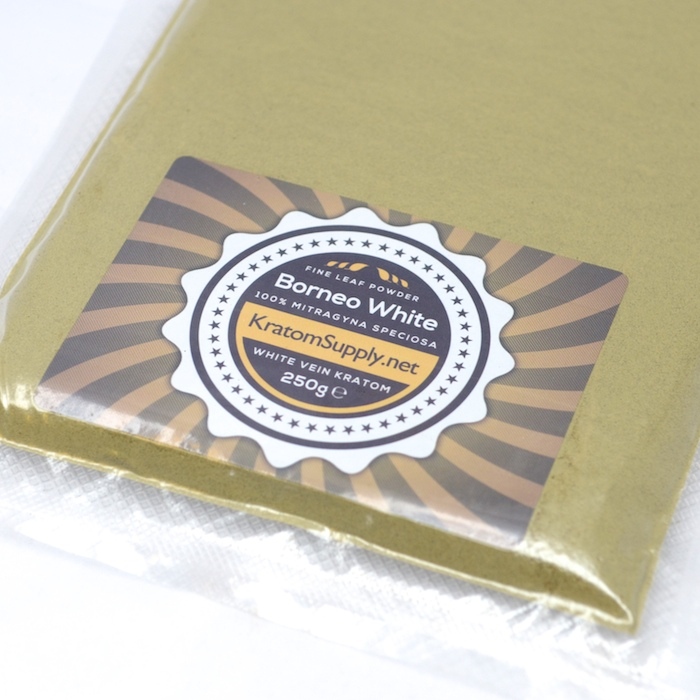 Get 10% off Borneo White Kratom until Monday 30th June 2014 while stocks last. You’ll be hard pressed to find a higher quality White Vein Kratom powder available in the UK than this exclusive type available only through KratomSupply.net . It is sourced from well managed forest from around West Borneo river areas, where the soil contains optimum nutrients for the growth of luscious Kratom leaves. This Kratom power is super finely powdered for ease of preparation and delivers a superb energetic aroma. We began trading Mitragyna Speciosa, what is more commonly known as ‘Kratom’, back in 2010 after feeling that we could do more to provide the UK with consistently high quality Kratom products. We’re proud of our attentive customer service and attention to detail, so why not see for yourself and make a purchase today! Buy Borneo White Kratom by clicking here! Available in 25g, 50g, 100g, 250g and 500g amounts. 25g & 50g Orders are packed inside foil lined resealable pouches, great for storage at home. Larger amounts of 100g or more are vacuum packed with a resealable bag inside for ultimate freshness. No other UK supplier delivers Kratom with this much care, don’t settle for less! This offer is available until 14:00 UK time on Monday 30th June. Store Updated! New 5% Kratom Loyalty Discount Introduced! KratomSupply.net is commited to bringing you the best value for money, and only the finest Kratom varieties sourced from the best locations in the world. Your custom is very important to us - we operate a quick and secure service focused on excellent customer service. Fantastic. Just fantastic. No problems whatsoever, an as-ever extremely reliable service with an exceptional quality of product, just exactly as you want an online seller to be.